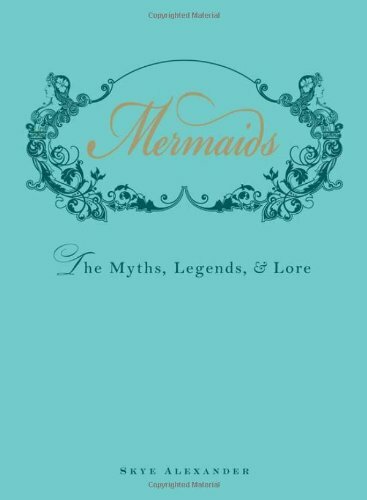 This morning I went to a bookstore and found this book about mermaids, it looks lovely and I was so excited and just had to buy it. I also found two books of poetry from new poets, one translated from French (I love seeing the poem in French on the opposite page of the translation). So even with a back ache, I am moderately happy. Now I am bundled in a blanket, watching Alfred Hitchcock's Dial M for Murder on Netflix. I love his movies. It's cloudy and the candles are lit even though it is only noon and it feels like Autumn, and that fall-time inspiration has hit...finally. Yay!! I haven't heard you say anything about being happy in so long. I want to be watching movies under a blanket with candles lit!!! BTW, I freaking love mermaids. Oooh mermaids and candles and Hitchcock and Grace Kelly!!! Haha. This sounds like an awesome time.